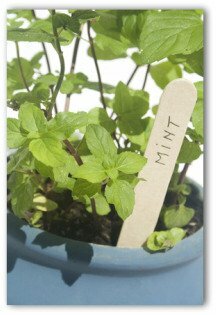 Looking for indoor container gardening tips and plans? Here are a few easy tips for growing herbs and vegetables indoors in a sunny location including using grow lights! Learning how to garden indoors is a very rewarding pastime. We want to cover the field for those who have an interest in the culture of planting indoors. Our aim is to look at selecting plants and pots for your home environment. You will need to find a sunny location, or you can use indoor grow lights to make up for any lack of sunlight. 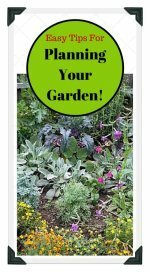 With only a small area, you can grow a reasonable amount of vegetables, fruit, and herbs in containers. Carrots, radishes, peas, red cabbage, lettuce, strawberries, and chives are just a sampling of the crops that can be planted using a little ingenuity. Almost any vegetable can be grown successfully in an indoor container. An example of small scale vegetable gardening is growing several rows of plants in a window box with a large plant situated at each end. Using such a container, you could plant a tomato plant at either end, with rows of peas, carrots, lettuce, or radishes in the middle, and an edging of herbs such as parsley or chives. 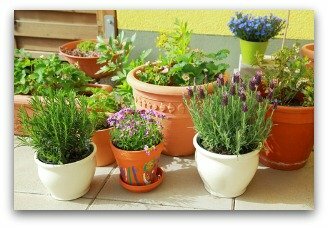 Containers such as window boxes should have a soil depth of about 10 inches. Choose dwarf or small cultivars like ‘Tom Thumb' lettuce and ‘Little Marvel' pea. To ensure the potting soil mix is rich enough to feed the plants throughout the growing season, incorporate plenty of organic matter, prior to planting. When using a tub for indoor container gardening, plant a tomato or pepper in the center. Then grow a ring of other crops surrounding the midsection. Alternatively, you can devote the entire container to salad crops. On the other hand, planters can be used for one vegetable only such as eggplants or tomatoes, depending on the gardener's time and taste buds. 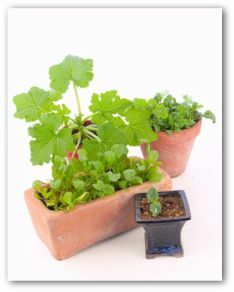 Vegetables such as lettuce, which have shallow root systems, can be grown in any container. 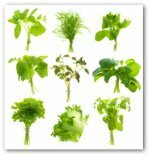 Choose a non-hearting lettuce so that a few leaves can be picked as needed. Lettuce takes as little as 6-10 weeks to mature. Attractive growing plants such as peas make a eye pleasing as well as mouth watering addition to any container garden. Cabbages are one of the easiest vegetable crops to grow. However, they are greedy feeders and require plenty of nitrogen for leaf growth. Cabbage seed can be sown in succession sowings. Keep the soil well watered. Apply a general purpose fertilizer 4-6 weeks after germination. Suggested varieties include: ‘Babyhead', 'Earliana', ‘Red Ruby' and the Chinese cabbage, 'Pe-Tsai'. Beets are perfect selections for indoor gardening, in part because of their lovely foliage. Sow the seeds in the containers where the plants are to be grown. Thin out any overcrowding seedlings. ‘Little Ball', ‘Avonearly', and ‘Red-Hart' are reliable varieties. 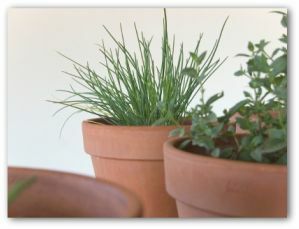 4 inch containers are home sweet home for fennel, mints, lavender, and young rosemary plants. 6 inch pots are ideal for basil, parsley, sweet marjoram seedlings, and young thyme divisions. 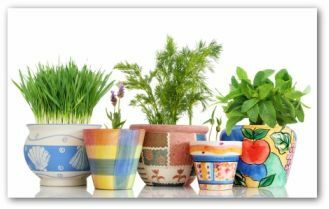 8 inch planters are best for transplants, compact plant varieties, mature basil, and groups of leaf lettuce, summer radishes, and clumps of chives, oregano, green onions, summer savory, and thyme. 10-12 inch containers are perfect planters for dill, sage, romaine, cherry tomatoes, and similar vegetables. 12-14 inch planters are suitable for Bibb lettuce, bell pepper, carrots, spinach, and broccoli. 14 inch or larger baskets can house lemon verbena, mature rosemary, tomato, peas, cucumber, eggplant, and peppers. 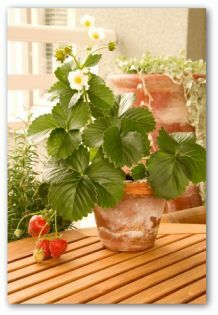 We highly recommend indoor gardening to all plant lovers!